Somewhere in the vaults of the British Museum there is stashed away a clay tablet which was found at Sippar, the "cult center" of Shamash in Mesopotamia. It shows him seated on a throne, under a canopy whose pillar is shaped as a date palm (Fig. 120). A king and his son are introduced to Shamash by another deity. In front of the seated God there is mounted upon a pedestal a large emblem of a ray-emitting planet. The inscriptions invoke the Gods Sin (father of Shamash), Shamash himself and his sister Ishtar. The theme of the scene—the introduction of kings or priests to a major deity—is a familiar one, and poses no problems. What is unique and puzzling in this depiction are the two Gods (almost superimposed upon one another) who, from somewhere outside of where the introduction is taking place, hold (with two pairs of hands) two cords leading to the celestial emblem. Who are the two Divine Cordholders? Are they identically situated, and if so, why do they hold or pull two cords, and not just one? What is their connection with Shamash? Sippar, scholars know, was the seat of the High Court of Sumer; Shamash was consequently the ultimate lawgiver. Hammurabi, the Babylonian king famous for his law code, depicted himself receiving the laws from an enthroned Shamash. Was the scene with the two Divine Cordholders also somehow connected with lawgiving? In spite of all the speculation, no one has so far come up with an answer. The solution, we believe, has been available all along, in the very same British Museum—not among its "Assyrian" exhibits, however, but in its Egyptian Department. In a room separate from the mummies and the other remains of the dead and their tombs, there are exhibited pages from the various papyri inscribed with the Book of the Dead. And the answer is right there, for all to see (Fig. 121). It is a page from the "Papyrus of Queen Nejmet" and the drawing illustrates the final stage of the Pharaoh's journey in the Duat. The twelve Gods who pulled his barge through the subterranean corridors have brought him to the last corridor, the Place of Ascending. There, the "Red Eye of Horus" was waiting. Then, shed of his earthly clothing, the Pharaoh was to ascend heavenward, his Translation spelled out by the beetle hieroglyph ("Rebirth"). Gods standing in two groups pray for his successful arrival at the Imperishable Star. And, unmistakably, there in the Egyptian depiction are two Divine Cordholders! Without the congestion of the depiction from Sippar, this one from the Book of the Dead shows the two Cordholders not crowding out each other, but at two different ends of the scene. They are clearly located outside of the subterranean corridor. Moreover: each site manned by a Cordholder is marked by an omphalos resting upon a platform. And, as the action imparted by the drawing shows, the two divine aides are not simply holding the cords, but are engaged in measuring. The discovery should not surprise: have not the verses of the Book of the Dead described how the journeying Pharaoh encounters the Gods "who hold the rope in the Duat," and the Gods "who hold the measuring cord"? "saw in those days how long cords were given to angels who took to themselves wings, and they went towards the north." "They have gone off to measure ... they shall bring the measures of the Righteous to the Righteous ... all these measures shall reveal the secrets of the Earth." His brilliance is like light. from where his power is concealed. He is seen, and the nations tremble. Was the measuring of Earth and its "secrets" then related to the powered flight of the Gods in Earth's skies? The Ugaritic texts add a clue as they tell us that, from the peak of Zaphon, Ba'al "a cord strong and supple stretches out, heavenwards (and) to the Seat of Kadesh." Whenever these texts report a message from one God to another, the verse begins with the word Hut. Scholars assume that it was a kind of a calling prefix, a kind of "Are you ready to hear me?" But the term could literally mean in the Semitic languages "cord, rope." Significantly, the term Hut in Egyptian also means "to extend, to stretch out." Heinrich Brugsch, commenting on an Egyptian text dealing with the battles of Horus (Die Sage von der geflugten Sonnenscheibe) pointed out that Hut was also a place name—the abode of the Winged Extenders, as well as the name of the mountain within which Horus was imprisoned by Seth. We find in the Egyptian depiction above (Fig. 121) that the conical "oracle stones" were located where the Divine Measurers were stationed. Baalbek too was the location of such an omphalos, a Stone of Splendor that could perform the Hut functions. There was an oracle stone at Heliopolis, the Egyptian twincity of Baalbek. Baalbek was the Gods' Landing Platform; the Egyptian cords led to the Pharaoh's Place of Ascent in the Duat. The biblical Lord—called in Habakuk by a variant of El—measured Earth as he flew from south to north. Are these all just a series of coincidences—or parts of the same jigsaw puzzle? And then we have the depiction from Sippar. It is not puzzling if we recall that in preDiluvial times, when Sumer was the Land of the Gods, Sippar was the Spaceport of the Anunnaki, and Shamash its Commander. Thus viewed, the role of the Divine Measurers will become clear: their cords measured out the path to the Spaceport. It would help to recall how Sippar was established, how the site of the first Spaceport on Earth was determined, some 400,000 years ago. When Enlil and his sons were given the task of creating a Spaceport upon planet Earth, in the plain between the Two Rivers of Mesopotamia, a master plan was drawn up; it involved the selection of a site for the Spaceport, the determination of a flight path, and the establishment of guidance and Mission Control facilities. Based on the most conspicuous natural feature in the Near East—Mount Ararat—a north-south meridian was drawn through it. A flight path over the Persian Gulf, well away from flanking mountain ranges, was marked out at the precise and easy angle of 45°. Where the two lines intersected, on the banks of the Euphrates River, Sippar—"Bird City"—was to be. Five settlements, equidistant from one another, were laid out along the diagonal 45° line. The central one—Nippur ("The Place of Crossing")—was to serve as the Mission Control Center. Other settlements marked out an arrowlike corridor; all the lines converged at Sippar (Fig. 122). All that, however, was wiped out by the Deluge. In its immediate aftermath—some 13,000 years ago—only the Landing Platform at Baalbek had remained. Until a replacement Spaceport could be built, all landings and takeoffs of the Shuttlecraft had to be conducted there. Are we to assume that the Anunnaki relied on reaching the site, tucked away between two mountain ranges, by sheer skilled piloting—or can we safely surmise that as soon as possible they worked out an arrowlike Landing Corridor to Baalbek? With the aid of photographs of Earth from spacecraft of the U.S. National Aeronautics and Space Administration, we can view the Near East as the Anunnaki had seen it from their own craft (Fig. 123). There, a dot in the north, was Baalbek. What vantage points could they choose from which to mark out a triangular landing corridor? Close at hand, to the southeast, rose the granite peaks of southern Sinai. Amid the granite core rose the highest peak (now called Mount St. Katherine). It could serve as a natural beacon to outline the southeastern line. But where was the counterpoint in the northwest, on which the northern line of the triangle could be anchored? Aboard the Shuttlecraft, the Surveyor—a "Divine Measurer"—glanced at the earthly panorama below, then studied his maps again. In the far distance, beyond Baalbek, there loomed the twinpeaked Ararat. He drew a straight line from Ararat through Baalbek, extending it all the way into Egypt. He took his compass. With Baalbek as the focal point, he drew an arc through the highest peak of the Sinai peninsula. Where it intersected the AraratBaalbek line, he made a cross within a circle. Then he drew two lines of equal length, one connecting Baalbek with the peak in Sinai, the other with the site marked by the cross (Fig. 124). This, he said, will be our triangular Landing Corridor, to lead us straight to Baalbek. But sir, one of those aboard said, there is nothing there, where you have made the cross—nothing that can serve as a guiding beacon! We will have to erect there a pyramid, the commander said. And they flew on, to report their decision. This, let us add at once, is only part of the amazing grid which—as we shall show—was laid out by the Anunnaki in connection with their post-Diluvial Spaceport. Therefore, whether or not the conversation had taken place aboard a shuttlecraft, we are pretty certain that that is how the pyramids came to be in Egypt. There are many pyramids and pyramidical structures in Egypt, dotting the landscape from where the Nile breaks out into its delta in the north, all the way south to (and into) Nubia. But when one speaks of The Pyramids, the many emulations, variations, and "mini-pyramids" of later times are omitted, and scholars and tourists alike focus on the twenty-odd pyramids believed to have been erected by Pharaohs of the Old Kingdom (circa 27002180 B.C.). These, in turn, consist of two distinct groups: the pyramids clearly identified with rulers of the Fifth and Sixth Dynasties (such as Unash, Teti, Pepi), which are elaborately decorated and inscribed with the renowned Pyramid Texts; and the older pyramids attributed to kings of the Third and Fourth Dynasties. It is the latter, much older and first-ever, pyramids, that are the most intriguing. Much grander, more solid, more accurate, more perfect than all those that followed them, they are also the most mysterious—for they contain not a clue to reveal the secret of their construction. Who built them, how were they built, why, even when—no one can really say; there are only theories and educated guesses. The textbooks will tell us that the first of Egypt's imposing pyramids was built by a king named Zoser, the second Pharaoh of the Third Dynasty (circa 2650 B.C. by most counts). Selecting a site west of Memphis, on the plateau that served as the necropolis (city of the dead) of that ancient capital, he instructed his brilliant scientist and architect named Imhotep to build him a tomb that would surpass all previous tombs. Until then, the royal custom was to carve out a tomb in the rocky ground, bury the king, and then cover the grave with a giant horizontal tombstone called a mastaba that in time grew to substantial dimensions. The ingenious Imhotep, some scholars hold, covered the original mastaba over the tomb of Zoser with layer upon layer of ever smaller mastabas, in two phases (Fig. 125a), achieving a step pyramid. Beside it, within a large rectangular courtyard, a variety of functional and decorative buildings were erected—chapels, funerary temples, storehouses, attendants' quarters and so on; the whole area was then surrounded by a magnificent wall. The pyramid and the ruins of some of the adjoining buildings and the wall can still be seen (Fig. 125b) at Sakkara—a name believed to have honored Seker, the "hidden God." The kings who followed Zoser, the textbooks continue to explain, liked what they saw and tried to emulate Zoser. Presumably it was Sekhemkhet, who followed Zoser on the throne, who began to build the second step pyramid, also at Sakkara. It never really got off the ground, for reasons unknown (perhaps the missing ingredient was the enigmatic genius of science and engineering, Imhotep). A third step pyramid—or rather the mound containing its ruined beginnings—was discovered about midway between Sakkara and Giza to the north. Smaller than the previous ones, it is logically attributed by some scholars to the next Pharaoh on the throne, named Khaba. Some scholars believe that there were one or two additional attempts by unidentified kings of the Third Dynasty to build pyramids here and there, but without much success. We now have to go some thirty miles south of Sakkara, to a place named Maidum, to view the pyramid deemed to have been the next one chronologically. In the absence of evidence, it is logically presumed that this pyramid was built by the next Pharaoh in line, named Huni. Through much circumstantial evidence, it is held however that he only began the construction, and that the attempt to complete the pyramid was undertaken by his successor, Sneferu, who was the first king of the Fourth Dynasty. It was commenced, as the previous ones, as a step pyramid. But for reasons which remain totally unknown and for which even theories are lacking, its builders decided to make it a "true" pyramid, namely to provide it with smooth sides. This meant that a smooth layer of stones was to be fitted as an outer skin at a steep angle (Fig. 126a). Again for reasons unknown, an angle of 52° was selected. But what, according to the textbooks, was to be the first-ever true pyramid ended as a dismal failure: the outer stone skin, the stone fillings and parts of the core itself collapsed under the sheer weight of the stones, all set one atop the other at a precarious angle. All that remains of that attempt is part of the solid core, with a large mound of debris all around it (Fig. 126b). Some scholars (as Kurt Mendelssohn, The Riddle of the Pyramids) suggest that Sneferu was building at the same time another pyramid, somewhat north of Maidum, when the Maidum pyramid collapsed. The architects of Sneferu then hurriedly changed the pyramid's angle in mid-construction. The flatter angle (43°) assured greater stability and reduced the height and mass of the pyramid. It was a wise decision, as witness the fact that the pyramid—appropriately called the Bent Pyramid (Fig. 127)— still stands. We now arrive chronologically, scholars suggest, at the epitome of Egyptian pyramid buildings. Sneferu was the father of Khufu (whom Greek historians called Cheops); it has thus been assumed that the son followed up the achievement of his father by building the next true pyramid—only a larger and grander one: the Great Pyramid of Giza. It stands majestically as it has stood for millennia in the company of two other major pyramids, attributed to his successors Chefra (Chephren) and Menka-ra (Mycerinus); the three are surrounded by smaller satellite pyramids, temples, mastabas, tombs and the unique Sphinx. Though attributed to different rulers, the three (Fig. 128) obviously were planned and executed as a cohesive group, perfectly aligned not only to the cardinal points of the compass but also with one another. Indeed, triangulations which begin with these three monuments can be extended to measure the whole of Egypt—the whole of Earth, for that matter. This was first realized in modern times by Napoleon's engineers: they selected the apex of the Great Pyramid as the focal point from which they triangulated and mapped Lower Egypt. This was made even easier by the discovery that the site is located, for all intents and purposes, right on the thirtieth parallel (north). The whole Giza complex of massive monuments had been erected at the eastern edge of the Libyan Plateau, which begins in Libya in the west and stretches to the very banks of the Nile. Though only some 150 feet above the river's valley below, the Giza site has a commanding and unobstructed view to the four horizons. The Great Pyramid stands at the extreme northeastern edge of a protrusion of the plateau; a few hundred feet to the north and east, sands and mud begin, making such massive structures impossible. One of the first scientists to have taken precise measurements, Charles Piazzi Smyth (Our Inheritance in the Great Pyramid) established that the center of the Great Pyramid was at northern latitude 29° 58' 55"—a mere one-sixtieth of a degree off from exactly at the thirtieth parallel. The center of the second large pyramid was only thirteen seconds (13/3600 of a degree) to the south of that. The alignment with the cardinal points of the compass; the inclination of the sides at the perfect angle of about 52° (at which the height of the pyramid in relation to its circumference is the same as that of a radius of a circle to its circumference); the square bases, set on perfectly level platforms—all bespeak of a high degree of scientific knowledge of mathematics, astronomy, geometry, geography and of course building and architecture, as well as the administrative ability to mobilize the necessary manpower, to plan and execute such massive and long-term projects. The wonderment only increases as one realizes the interior complexities and precision of the galleries, corridors, chambers, shafts and openings that have been engineered within the pyramids, their hidden entrances (always on the north face), the locking and plugging systems—all unseen from the outside, all in perfect alignment with each other, all executed within these artificial mountains as they were being built layer after layer. Though the Second Pyramid (that of Chefra) is only slightly smaller than the First, "Great Pyramid" (heights: 470 and 480 feet; sides at base 707 and 756 feet, respectively), it is the latter that has by and large captured the interest and imagination of scholars and laymen since men ever set their eyes upon these monuments. It has been and still remains the largest stone building in the world, having been constructed of an estimated 2,300,000 to 2,500,000 slabs of yellow limestone (the core), white limestone (the smooth facing or casing), and granite (for interior chambers and galleries, for roofing, etc.). Its total mass, estimated at some 93 million cubic feet weighing 7 million tons, has been calculated to exceed that of all the cathedrals, churches and chapels combined that have been built in England since the beginning of Christianity. On ground that has been artificially leveled, the Great Pyramid rises on a thin platform whose four corners are marked by sockets of no ascertained function. In spite of the passage of millennia, continental shifts, Earth's wobble around its own axis, earthquakes and the immense weight of the pyramid itself, the relatively thin platform (less than twenty-two inches thick) is still undamaged and perfectly level: the error or shift in its perfect horizontal alignment is less than a tenth of an inch over the 758 feet that each side of the platform measures. From a distance, the Great Pyramid and its two companions appear to be true pyramids; but when approached it is realized that they too are a kind of step pyramid, built layer upon layer (scholars call them courses) of stone, each layer smaller than the one below it. Modern studies, in fact, suggest that the Great Pyramid is a step pyramid at its core, engineered to sustain great vertical stress (Fig. 129). What gave it the smooth, inclined sides were the casing stones with which its sides were covered. These have been removed in Arab times and used for the construction of nearby Cairo; but a few can still be seen in position near the top of the Second Pyramid, and some were discovered at the base of the Great Pyramid (Fig. 130). It is these casing stones which determined the angle of the pyramid's sides; they are the heaviest of all the stones used to build the pyramid proper; the six faces that each stone has have been cut and polished to an accuracy of optical standards—they fitted not only the core stones which they covered, but also each other on all four sides, forming a precision-made area of twenty-one acres of limestone blocks. The Giza pyramids are nowadays also minus their apex or capstones, which were shaped as pyramidions and may have been either made of metal or covered with a shiny metal—as the similar pyramidion-shaped tips of obelisks were. Who, when and why they were removed from their great heights, no one knows. It is known however that in later times these apex stones, resembling the Ben-Ben at Heliopolis, were made of special granite and bore appropriate inscriptions. When he sails across the sky. When Herodotus visited Giza in the fifth century, the capstones are not mentioned, but the pyramids' sides were still covered with the smooth facings. As others before and after him, he wondered how these monuments—counted among the Seven Wonders of the ancient world—were ever built. Regarding the Great Pyramid, he was told by his guides that it took 100,000 men, replaced every three months by fresh laborers, "ten years of oppression of the people" just to build the causeway leading to the pyramid, so that the quarried stones could be brought to the site. "The pyramid itself was twenty years in building." It was Herodotus who transmitted the information that the Pharaoh who ordered the pyramid built was Cheops (Khufu); why and what for, he does not say. Herodotus likewise attributed the Second Pyramid to Chephren (Chefra), "of the same dimensions, except that he lowered the height forty feet"; and asserted that Mycerinus (Menkara) "too left a pyramid, but much inferior in size to his father's"—implying, but not actually stating, that it was the Third Pyramid of Giza. In the first century A.D., the Roman geographer and historian Strabo recorded not only a visit to the pyramids, but also his entry info the Great Pyramid through an opening in the north face, hidden by a hinged stone. Going down a long and narrow passage, he reached a pit dug in the bedrock—as other Greek and Roman tourists had done before him. The location of this entryway was forgotten in the following centuries, and when the Moslem caliph Al Mamoon attempted to enter the pyramid in 820 A.D., he employed an army of masons, blacksmiths and engineers to pierce the stones and tunnel his way into the pyramid's core. What prompted him was both a scientific quest and a lust for treasure; for he was apprised of ancient legends that the pyramid contained a secret chamber wherein celestial maps and terrestrial spheres, as well as "weapons which do not rust" and "glass which can be bent without breaking" were hidden away in past ages. Blasting through the mass of stones by heating and cooling them until they cracked, by ramming and chiseling, Al Mamoon's men advanced into the pyramid inch by inch. They were about to give up, when they heard the sound of a falling stone not far ahead, indicating that some cavity was located there. With renewed vigor, they blasted their way into the original Descending Passage (Fig. 132). Climbing up it, they reached the original entrance which had evaded them from the outside. Climbing down, they reached the pit described by Strabo; it was empty. A shaft from the pit led nowhere. As far as the searchers were concerned, the effort had been in vain. All the other pyramids, which were entered or broken into over the centuries, had the same inner structure: a Descending Passage leading to one or more chambers. This has not been found in the Great Pyramid. There were no other secrets to be unlocked... . But Fate wished otherwise. The ramming and blasting by Al Mamoon's men had loosened the stone, whose falling sound had encouraged them to tunnel on. As they were about to give up, the fallen stone was found lying in the Descending Passage. It had an odd, triangular shape. When the ceiling was examined, it was found that the stone served to hide from view a large rectangular granite slab positioned at an angle to the Descending Passage. Did it hide the way to a really secret chamber—one obviously never before visited? Unable to move or break the granite block, Al Mamoon's men tunneled around it. It turned out that the granite slab was only one of a series of massive granite blocks, followed by limestone ones, that plugged an Ascending Passage—inclined upward at the same 26° angle that the Descending Passage was inclined downward (precisely half the angle of the pyramid's outer inclination). From the top of the Ascending Passage, a horizontal passage led to a squarish room with a gabled roof (Fig. 133) and an unusual niche in its east wall; it was bare and empty. This chamber has since been found to lie precisely in the middle of the north-south axis of the pyramid—a fact whose significance has not yet been deciphered. The chamber has come to be known as the "Queen's Chamber"; but the name is based on romantic notions and not on any shred of evidence. At the head of the Ascending Passage, there extended for 150 feet and at the same rising angle of 26° a Grand Gallery of intricate and precise construction (Fig. 134). Its sunken floor is flanked by two ramps that run the length of the Gallery; in each ramp there are cut a series of evenly spaced rectangular slots, facing each other. The Gallery's walls rise more than 18 feet in seven corbels, each section extending three inches out above the lower one, so that the Gallery narrows as it rises. At its top, the Gallery's ceiling is the exact width as the sunken floor between the ramps. At the uppermost end of the Gallery, a huge stone formed a flat platform. Flush with it a short and comparatively narrow and low corridor (only 3.5 feet high) led to an ante-chamber of extremely complex construction, having been equipped to lower with a simple maneuver (the pull of a rope?) three solid granite walls that could vertically plug the passage and block further advance. A short corridor, of a height and width similar to the former one, then led to a high-ceilinged room constructed of red polished granite—the so-called King's Chamber (Fig. 135). It was empty except for a granite block hewed out to suggest a lidless coffer. Its precise workmanship included grooves for a lid or top section. Its measurements, as has since been determined, exhibited knowledge of profound mathematical formulas. But it was found totally empty. Was this whole mountain of stone, then, erected to hide an empty "coffer" in an empty chamber? Blackened torch marks and the evidence of Strabo attest that the Descending Passage was visited before; if there had ever been treasure in that subterranean room, it was removed long ago. But the Ascending Passage was most definitely plugged tight when Al Ma-moon's men reached it in the ninth century A.D. The theory of the pyramids as royal tombs held that they were raised to protect the Pharaoh's mummy and the treasures buried with it from robbers and other uninvited disturbers of his eternal peace. Accordingly, the plugging of the passages is presumed to have taken place as soon as the mummy in its coffin was placed in the burial chamber. Yet here was a plugged passage—with absolutely nothing, except for an empty stone coffer, in the whole pyramid. In time, other rulers, scientists, adventurers have entered the pyramid, tunneled and blasted through it, discovering other features of its inner structure—including two sets of shafts which some believe were air ducts (for whom?) and others assert for astronomical observations (by whom?). Although scholars persist in referring to the stone coffer as a sarcophagus (its size could well hold a human body), the fact is that there is nothing, absolutely nothing to support a claim that the Great Pyramid was a royal tomb. Indeed, the notion that the pyramids were built as Pharaonic tombs has remained unsupported by concrete evidence. The first pyramid, that of Zoser, contains what scholars persist in calling two burial chambers, covered by the initial mastaba. When they were first penetrated by H. M. von Minutoli in 1821, he claimed that he found inside parts of a mummy as well as a few inscriptions bearing the name of Zoser. These, it has been claimed, he sent to Europe but they were lost at sea. In 1837, Colonel Howard Vyse re-excavated the inner parts more thoroughly, and reported finding a "heap of mummies," (eighty were later counted) and to have reached a chamber "bearing the name of King Zoser," inscribed in red paint. A century later, archaeologists reported the discovery of a fragment of a skull and evidence that "a wood sarcophagus may have stood inside the red granite chamber." In 1933, J. E. Quibell and J. P. Lauer discovered beneath the pyramid additional underground galleries, in which there were two sarcophagi—empty. It is now generally accepted that all these extra mummies and coffins represent intrusive burials, namely the entombment of the dead from a later time by intruding on the sanctity of the sealed galleries and chambers. But was Zoser himself ever entombed in the pyramid—was there ever an "original burial?" Most archaeologists now doubt that Zoser was ever buried in the pyramid or under it. He was buried, it seems, in a magnificent tomb discovered in 1928 south of the pyramid. This "Southern Tomb." as it came to be known, was reached via a gallery whose stone ceiling imitated palm trees. It led to a simulated half-open door through which a great enclosure was entered. More galleries led to a subterranean room built of granite blocks; on one of its walls three false doors bore the carvings of the image, name and titles of Zoser. Many eminent Egyptologists now believe that the pyramid was only a symbolic burial place for Zoser, and that the king was buried in the richly decorated Southern Tomb, topped by a large rectangular superstructure with a concave room which also contained the imperative chapel—just as depicted in some Egyptian drawings (Fig. 136). The step pyramid presumed to have been begun by Zoser's successor, Sekhemkhet, also contained a "burial chamber." It housed an alabaster "sarcophagus," which was empty. Textbooks tell us that the archaeologist who discovered the chamber and the stone coffer (Zakaria Goneim) concluded that the chamber had been penetrated by grave robbers, who stole the mummy and all other contents of the tomb; but that is not entirely true. "hopes were now raised to a high pitch; but when the sarcophagus was opened, it was found to be empty and unused." Had any king ever been buried there? While some still say yes, others are convinced that the pyramid of Sekhemkhet (jar stoppers bearing his name attest to the identification) was only a cenotaph (an empty, symbolic tomb). The third step pyramid, the one attributed to Khaba, also contained a "burial chamber"; it was found to be completely bare: no mummy, not even a sarcophagus. Archaeologists have identified in the same vicinity the subterranean remains of yet another, unfinished pyramid, believed to have been begun by Khaba's successor. Its granite substructure contained an unusual oval "sarcophagus" sunken into the stone floor (as an ultra-modern bathtub). Its lid was still in place, shut tight with cement. There was nothing inside. The remains of three other small pyramids, attributed to Third Dynasty rulers, were additionally found. In one, the substructure has not yet been explored. In the other, no burial chamber was found. In the third, the chamber contained no evidence of a burial at any time. Nothing was found in the "burial chamber" of the collapsed pyramid of Maidum, not even a sarcophagus. Instead, Flinders Petrie found only fragments of a wooden coffin, which he announced as the remains of the coffin of Sneferu's mummy. Scholars now invariably believe that it represented the remains of a much later intrusive burial. The Maidum pyramid is surrounded by numerous Third and Fourth Dynasty mastabas, in which members of the royal family and other VIP's of that time were entombed. The pyramids enclosure was linked with a lower structure (a so-called funerary temple) which is now submerged by the Nile's waters. It was perhaps there, surrounded and protected by the sacred river's waters, that the Pharaoh's body was laid to rest. The next two pyramids are even more embarrassing to the pyramids-as-tombs theory. The two pyramids at Dahshur (the Bent and the Red) were both built by Sneferu. The first has two "burial chambers," the other three. All for Sneferu? If the pyramid was built by each Pharaoh to serve as his tomb, why did Sneferu build two pyramids? Needless to say, the chambers were totally empty when discovered, devoid even of sarcophagi. After some more determined excavations by the Egyptian Antiquities Service in 1947 and again in 1953 (especially in the Red Pyramid), the report admitted that "No trace of a royal tomb has been found there." The theory of "a pyramid by each Pharaoh" now holds that the next pyramid was built by Sneferu's son, Khufu; and we have the word of Herodotus (and Roman historians who relied on his works) that it was the Great Pyramid at Giza. Its chambers, even the unviolated "King's Chamber," were empty. This should not have come as a surprise, for Herodotus (History, vol. II, p. 127) wrote that "the Nile water, introduced through an artificial duct, surrounds an island where the body of Cheops is said to lie." Was then the Pharaoh's real tomb somewhere lower in the valley and closer to the Nile? As of now, no one can tell. Chefra, to whom the Second Pyramid of Giza is attributed, was not the immediate successor of Khufu. In between them a Pharaoh named Radedef reigned for eight years. For reasons which the scholars cannot explain, he selected for his pyramid a site some distance away from Giza. About half the size of the Great Pyramid, it contained the customary "burial chamber." When reached, it was found entirely empty. The Second Pyramid of Giza has two entrances on its northern side, instead of the customary single one (see Fig. 129). The first begins— another unusual feature—outside the pyramid and leads to an unfinished chamber. The other leads to a chamber aligned with the pyramid's apex. When it was entered in 1818 by Giovanni Belzoni, the granite sarcophagus was found empty and its lid lying broken on the floor. An inscription in Arabic recorded the penetration of the chamber centuries earlier. What, if anything, the Arabs had found, is nowhere recorded. Giza's Third Pyramid, though much smaller than the other two, displays many unique or unusual features. Its core was built with the largest stone blocks of all three pyramids; its lower sixteen courses were cased not with white limestone but with formidable granite. It was built first as an even smaller true pyramid (Fig. 129), then doubled in size. As a result, it has two usable entrances; it also contains a third, perhaps a "trial" entrance not completed by its builders. Of its various chambers, the one deemed the main "burial chamber" was entered in 1837 by Howard Vyse and John Perring. They found inside the chamber a magnificently decorated basalt sarcophagus; it was, as usual, empty. But nearby Vyse and Perring found a fragment of a wood coffin with the royal name "Men-ka-Ra" written upon it, and the remains of a mummy, "possibly of Menkaura"—direct confirmation of the statement by Herodotus that the Third Pyramid "belonged" to "Mycerinus." Modern carbon-dating methods, however, established that the wooden coffin "certainly dates from the Saitic period"—not earlier than 660 B.C. (K. Michalowsky, Art of Ancient Egypt); the mummy remains are from early Christian times. They did not belong to any original burial. There is some uncertainty whether Men-ka-Ra was the immediate successor of Chefra; but scholars are certain that his successor was one named Shepsekaf. Which of the various pyramids that were never finished (or whose construction was so inferior that nothing remains above ground) belonged to Shepsekaf, is still unclear. But it is certain that he was not buried within it: he was buried under a monumental mastaba (Fig, 137) whose burial chamber contained a black granite sarcophagus. It had been penetrated by ancient grave robbers, who emptied tomb and sarcophagus of their contents. The Fifth Dynasty that followed began with Userkaf. He built his pyramid at Sakkara, near Zoser's pyramid complex. It was violated by both grave robbers and intrusive burials. His successor (Sahura) built a pyramid north of Sakkara (today's Abusir). Though one of the best preserved (Fig. 138), nothing was found in its rectangular "burial chamber." But the magnificence of its temples, that stretched between it and the Nile Valley, and the fact that one of the lower temple rooms was decorated with stone columns simulating palm trees, may indicate that it was somewhere near the pyramid that Sahura's real tomb was. Neferirkara, who followed on the throne of Egypt, built his funerary complex not far from Sahura's. The chamber in his incomplete (or ruined) pyramid was empty. The monuments of his successor were not found. The next ruler built his pyramid more with dried mud bricks and wood than with stone; only meager remains of the structure were found. Neuserra, who followed, built his pyramid close by those of his predecessors. It contained two chambers—both with no trace of a burial. Neuserra, however, is better known for his funerary temple, built in the shape of a stubby, short obelisk upon a truncated pyramid (Fig. 139). The obelisk rose 118 feet; its apex was covered with gilded copper. The pyramid of the next Pharaoh has not been found; perhaps it has crumbled to a mound, covered by the desert's shifting sands. That of his successor was identified only in 1945. Its substructure contained the usual chamber, which was bare and empty. The pyramid of Unash—last of the Fifth Dynasty or, as some prefer, first of the Sixth—marked a major change of custom. It was there that Gaston Maspero discovered for the first time (in 1880) the Pyramid Texts, inscribed on the walls of the pyramid's chambers and corridors. The four pyramids of the following Sixth Dynasty rulers (Teti, Pepi I, Mernera and Pepi II) emulated that of Unash in their funerary complexes and the inclusion of Pyramid Texts on their walls. Basalt or granite sarcophagi were found in all of their "burial" chambers; they were otherwise empty, except that in the sarcophagus in the Mernera pyramid a mummy was found. It was soon established that it was not the king's, but represented a later intrusive burial. 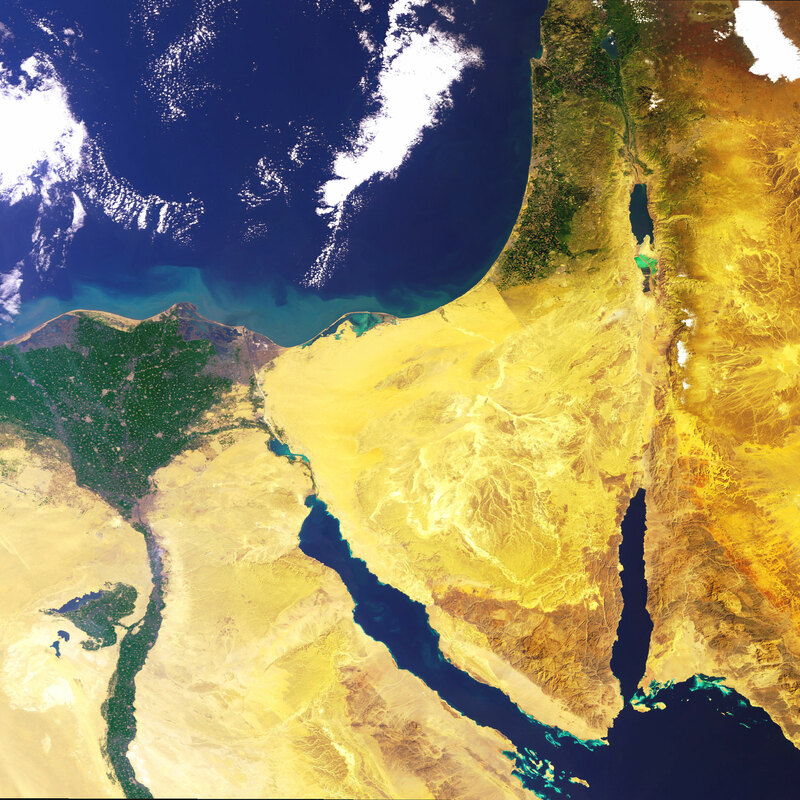 Where were the Sixth Dynasty kings really buried? The royal tombs of that dynasty and of earlier ones were all the way south, at Abydos. This, as the other evidence, should have completely dispelled the notion that the tombs were cenotaphs and the pyramids the real tombs; nevertheless, long-held beliefs die hard. The facts bespeak the opposite. The Old Kingdom pyramids never held a Pharaoh's body because they were never meant to hold a king's body. In the Pharaoh's simulated Journey to the Horizon, they were built as beacons to guide his ka to the Stairway to Heaven—just as the pyramids originally raised by Gods had served as beacons for the Gods when they "sailed across the sky." Pharaoh after Pharaoh, we suggest, attempted to emulate not the pyramid of Zoser, but the Pyramids of the Gods: the pyramids of Giza.